You are here: Home / Uncategorized / Is Your Charge Being Bullied? Is Your Charge Being Bullied? Are school bullies bothering the children you care for? When children are bullied, physically or mentally, they may be fearful of talking about it. They don’t want to make the situation worse, or could be afraid no one will help or take it seriously. If a child has ever witnessed emotional or physical bullying in her own home or with other family members, she may react grievously to this kind of treatment from peers. Teaching children how to assert themselves effectively and how to cope with their feelings is essential. The child who bullies also needs to be given caring guidance, along with discipline, because the problems won’t just go away without some kind of intervention. Teach Children the Difference Between Assertive and Aggressive Behavior. Children should be taught to ask nicely for things and to respond directly to one another. They need to know that it’s okay to say, “no,” to an unfriendly demand. Allow children to role-play with you, with each other, or with dolls. Teach Children How to Ignore Routine Teasing. Help children understand that they do not have to respond to rude remarks or mean questions. 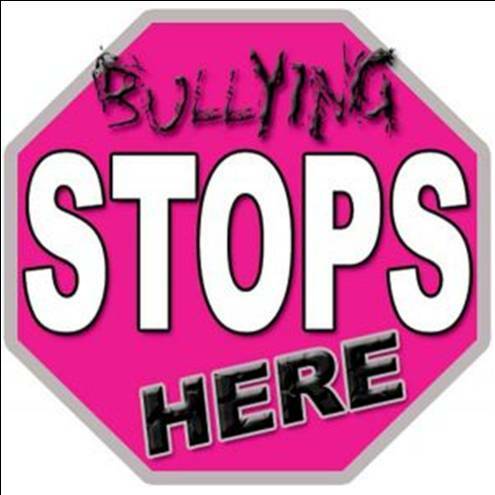 Many times a bully will give up if they are ignored or don’t get the reaction they expect. Help The Child Label Different Behaviors. Help children think of effective ways to respond to bullies. Help them recognize and label different behaviors as acts of aggression, jealousy, bossiness, or just attempts to get attention, then discuss appropriate ways to respond to each kind of behavior. Encourage Children to Express Feelings in a Positive Way. Role-play with children to help them think of ways to work out problems with classmates. This kind of “rehearsal” can help children to remain calm and confident when facing a similar situation in school. Responding with a simple, “I’m sorry you feel that way,” to someone who is insulting or rude can disarm the bully and help targeted children control their own reactions and emotions. Teach Children to Trust and Value Their Own Feelings. Teach children to take pride in not giving in to bullies, and to handling problems in a positive, respectful manner. This will build self-esteem, which helps children reject negative peer pressure. Children who feel secure and confident in standing up for themselves and others are less likely to be targeted by bullies. Teach Children About Respect and Rights. Kids need to understand and know that they have a right to their personal space, their belongings, and that they should not to give up possessions or territory to bullies. Discuss what children should do if other children take their things, invades their personal space, or threatens them physically. Tell children that they should ask an adult in charge to intervene when someone is threatening or disrespecting them. Give children examples to help them understand that bullies need to face consequences of their actions. Encourage Children to Ask for Help. Assure children that they can and should tell someone they trust when they feel scared, threatened, or so annoyed that they cannot concentrate on their work. Even at the risk of being reprimanded for disturbing the class or interrupting the teacher, it is important not to allow a bully to exert that kind of control. Pay Close Attention to Each Child’s Behavior. Watching for changes in a child’s natural emotional rhythm will alert you to possible difficulties. Most Important of All — Listen to the Child. Let children know that you are interested in what they have to say and that you support them. Listening to children is vital in building a sense of self worth. Create a comfortable atmosphere for talking with you about both the good and bad things going on in their world. If teenagers can trust you to listen to their latest drama, or if younger children get some undivided attention to ceaseless chatter, or if you can feign interest as children repeat their favorite movie dialog for the 100th time, then when it comes time to tell you about a problem, children will feel safe to do so. I'm sorry I haven't been commenting as much as usual. I just want to share with publishers of this newsletter thanks for such a super resource. This week's articles are amazing. Please keep up the good work.